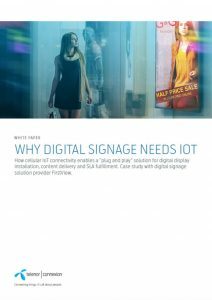 Plug and play display – explore the future of IoT and digital signage. With fleets of displays spread over wide distances, digital signage service integrators need a solution to improve processes, increase ROI and capture new business opportunities. Click to download the whitepaper and learn more!